We are super excited to announce our first ever Yoga Retreat to Costa Rica in April 2019 being led by our very own Carrie Godesky and Jennifer Vafakos! A retreat specially designed to honor ritual and celebration. Our Yoga Retreat will be held at Danyasa Eco-Retreat in Dominical, Costa Rica. 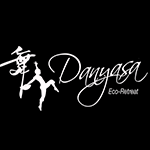 Danyasa offers an ecologically friendly retreat space. Join us in this sanctuary for exploration and transformation through yoga, surf, play, movement, healing arts, relaxation, adventure, community and a connection to nature like you’ve not had before. Inlet Yoga strives to provide top notch teacher trainings, workshops, private sessions, classes, tours, events and as well as excellence in service in our boutique and our accommodations! Our goal lies in exploring myriad ways to better ourselves… giving us more tools to move through the world, living artfully. Nestled at the base of rainforested mountains on the bank of the Baru River in Dominical, Costa Rica, Danyasa Eco-Retreat provides a sanctuary for living artfully in nature. We are a boutique yoga retreat center with a focus on providing you with everything you need to explore both the wonders of Costa Rica’s abundant nature as well as the wonders of your inner landscape. We invite you to join us for relaxation, play, adventure, creativity and transformation by way of classes, workshops, retreats, trainings and adventure tours. Our commitment to you is to always maintain a level of excellence and an intention to inspire. Transportation to and from San Jose Airport (SJO) coordinated for retreat attendees in two groups. Eco-friendly soaps and detergents however no shampoo or conditioner they recommend bringing eco-friendly products. The currency is Colon. Exchange rate averages between 530 to 550 colones to US dollar. US dollar is generally accepted everywhere. If you do pay in dollars, you will receive change in colons. Recommended to bring denominations of $20 or less. Water: No need to buy plastic bottles of water. Just bring your favorite water bottle and refill at filtered water stations. All water on property goes through 2 filters before reaching the room and kitchen. Credit cards: Danyasa takes both cc and cash (USD works just as easily as local currency) on site. There is a 13% fee for credit cards at Danyasa, so cash is definitely preferable for booking excursions or buying anything in our amazing onsite boutique. In town, USD is accepted everywhere, and a few of the larger restaurants accept ccs. There is an ATM in town as well. Passport: Required and must have at least 6 months validity remaining to enter country. No visa required if traveling from US or CAD. Electrical power: Same outlets at US so no need for adaptors. Weather: April is the green season. Rain does not begin until late afternoon or evening. For questions or to book please contact: info@inletyoga.com.